Kernavė is one of the most picturesque places in Lithuania. Five hill-forts surround the wide valley of Pajauta. This place has always been visited by people not only for its sights but also for its aura of the distant past. Ever since people in Lithuania became more interested in history, Kernavė has been a symbol of the grandeur of Lithuania’s past. The concept of archaeological open-air museums and experimental archaeology were barely known to the public in Lithuania (...) Experimental archaeology, on the other hand, started as a movement incorporating various craftsmen and enthusiasts - mostly from museums and academic institutions - who were interested in ancient technologies. It attracted researchers back in the 19th century, but only since systematic archaeological research started in 1979 has the depth and breadth of this place’s history been revealed. People started settling here in the final Palaeolithic and continued living here until the Middle Ages when, in 1390, the then thriving town of Kernavė was burned down and settlement ceased in the Pajauta valley. 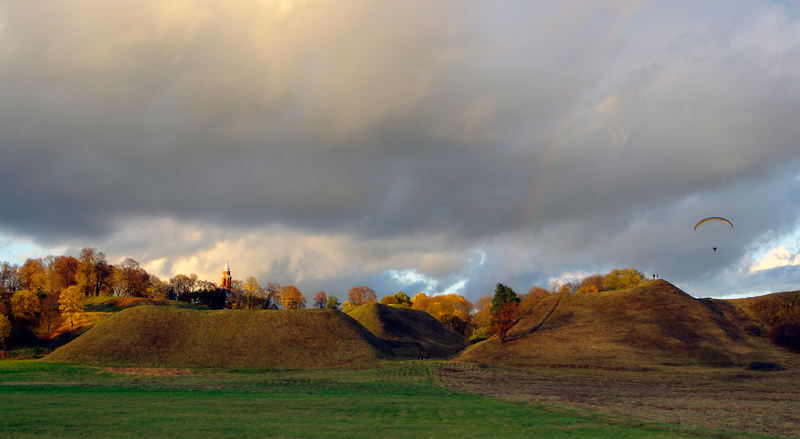 Wet turfs in the Pajauta valley preserved the remains of the medieval town of Kernavė. In 1986, during construction works, machinery unearthed remains of a wooden building. This started a 9-year (until 1995) investigation of an area covering 1753 m2 with a cultural layer about one meter deep, remains of walls and floors, fences, street paving and thousands of artefacts that can be attributed to the interior. Two homesteads were fully excavated, and one partially excavated, showing the craft specialization of the owners. Bone and antler material was concentrated in one homestead, together with tools and other items related to bone carving and production from birch bark. Material for jewellery making together with other items related to that craft were discovered in another totalling 2 thousand items related to both of these crafts. The third partially excavated homestead revealed items that might be related to blacksmithery (Baltramiejūnaitė et al., 2017, 33). Soon after these discoveries were made an idea was tabled to reconstruct a fragment of a town ex situ. However, this idea was only implemented in 2015. The reconstruction of a fragment of the 13th and 14th century town was opened in 2016. It is based on the discoveries in Pajauta valley in the 1980s and 1990s, augmented with the further research in other places in Kernavė at the beginning of the 21st century (See Figure 2). The axis of this reconstruction is a street with three homesteads along it. Thick high fences surround the street and the homesteads. Each yard represents a craft that is known from archaeological research: bone carver, jeweller and a smith. The main idea of this archaeological open-air museum is to represent these crafts in their original surrounding. 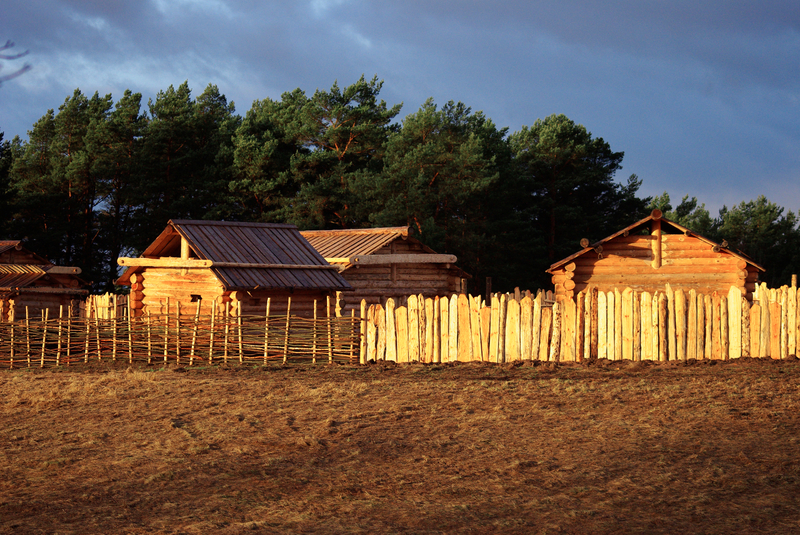 Most of the reconstructions in the archaeological open-air museum are based on the archaeological data from Kernavė. The homesteads are encompassed by fences made from upright planks (about 1.8 m high) or intertwined branches. Each homestead has one or more auxiliary buildings – workshops, animal sheds and other. 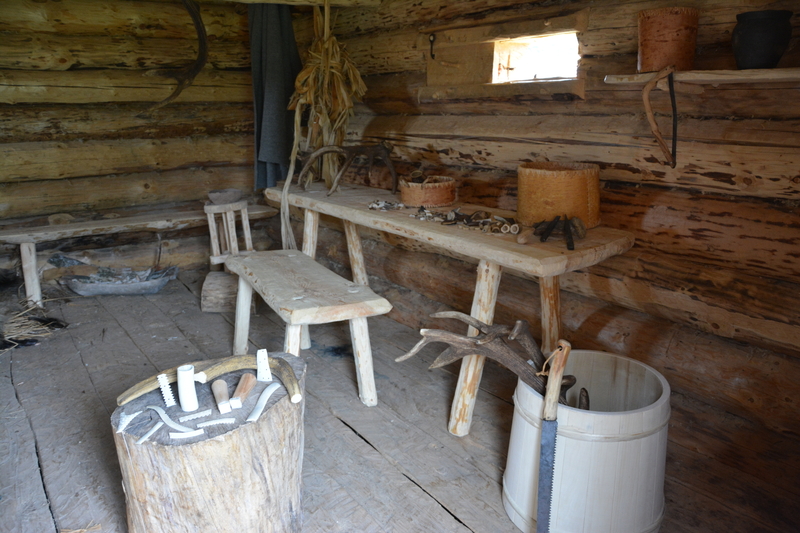 Reconstructed yards also have workshops with details for the particular associated craft (See Figure 3). However thorough the research might be, and however well preserved the artefacts might be, some data cannot be gathered from the archaeological discoveries. The majority of the data was compiled from finds in Kernavė, but there were gaps in the archaeological record, for example, remains of a roof structure was found only in one house. This was probably due to the fact that the town was burned down the majority of the roofs were destroyed. As such, it had to be assumed that all of the buildings had similar roof construction: that they were made from split planks. The height of the houses was also not known, so the height of the house is based on average height of the medieval inhabitants of Kernavė – 168 cm (Jankauskas, 2002, 59). Some of the details of the construction methods or the homestead interiors could not be found in Kernavė, so they were made as per extant finds from the same region (for example rafters were made in the style observable at Vilnius Lower Castle (Striška 2004)). 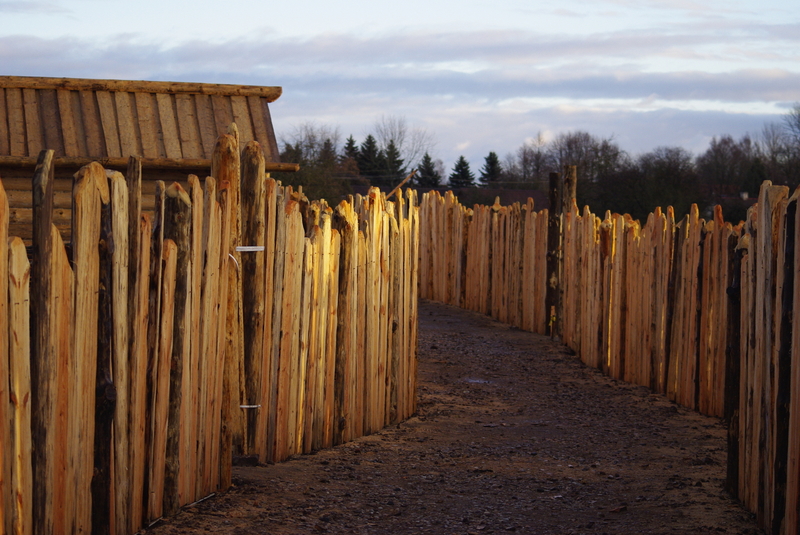 Although the reconstruction of buildings at the archaeological open-air museum is based on archaeological data, it is not seen as experimental archaeology. It is a display of an archaeological interpretation of the medieval town of Kernavė and a place where education and tourism can go hand in hand with research and experimental archaeology (See Figure 4). When referring to the term “experimental archaeology” it should be stressed that there are three main areas in which experimental archaeology is used: education, tourism and research. “Living archaeology” is most often associated with experience and education. “Experimental archaeology” could encompass activities such as replicating archaeological artefacts, re-enactment or living history, experience in and demonstration of ancient technologies, simulation of production procedures, and didactics and performances (Comis 2010, 9-11). Experimental archaeology could be understood in a narrow sense (referring to the field of scientific research) and in a wider sense, encompassing “living archaeology”, as well. The concept of archaeological open-air museums and experimental archaeology (in a wider sense) were barely known to the public in Lithuania – archaeological open-air museums were known only in the neighbouring countries of Latvia and Poland. Experimental archaeology, on the other hand, started as a movement incorporating various craftsmen and enthusiasts - mostly from museums and academic institutions - who were interested in ancient technologies. However, this movement did not take shape and form until the 1990s when almost simultaneously two museums (Trakai Historical Museum and Museum-Reserve of Kernavė) started organizing experimental (living) archaeology festivals. In Kernavė, the idea to organize first experimental archaeology festival came to the minds of the museum staff after visiting Biskupin in Poland during its 4th festival of archaeology in 1998. In 1999, the first “Days of Live Archaeology in Kernavė” festival was organized (Vitkūnas 2005, 54). 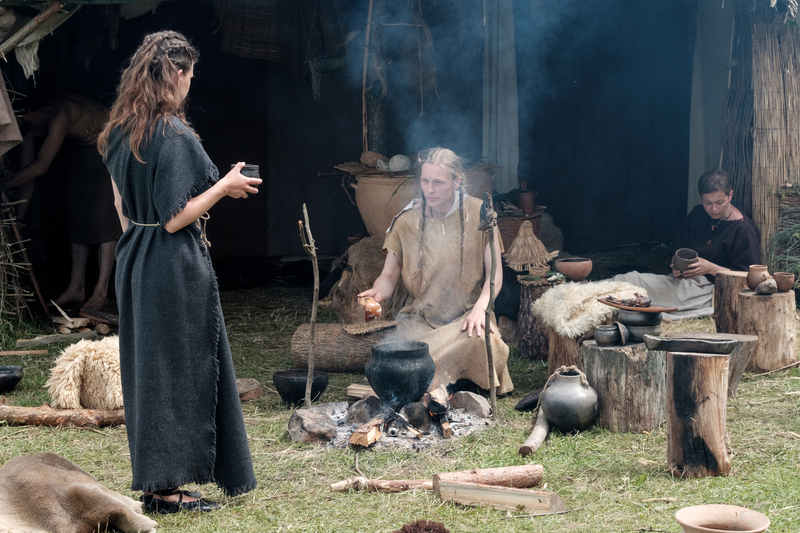 This festival is still ongoing and is the largest festival of experimental archaeology in Lithuania (up to 300 participants and 25,000 visitors). 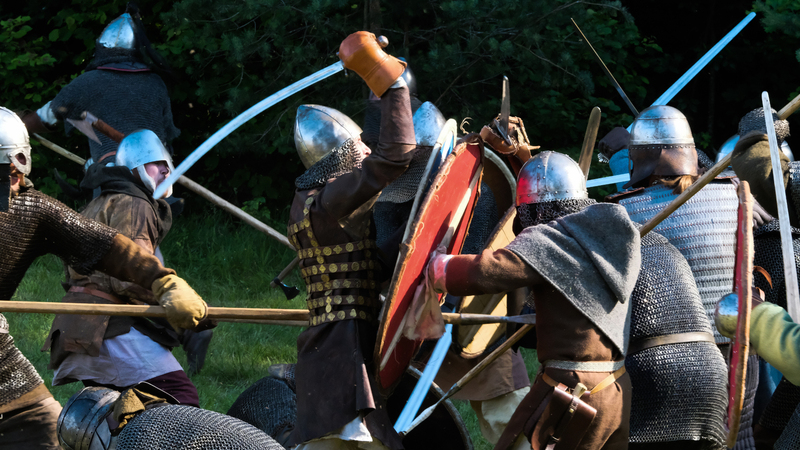 The festival brings together many experimental archaeologists, re-enactors and enthusiasts for the sharing of inspiration and experience from Lithuania (experimental archaeology club “Pajauta”, “Dvaro meistrai”, “Vilniaus puodžių cechas”, etc.) and abroad (See Figure 5). For many years the activities at the festival were extensive, but there was always a clear distinction between “living” and “experimental” archaeology. The latter was always either a display of the results of an experiment undertaken before the festival or in certain cases as an ongoing experiment during the festival. 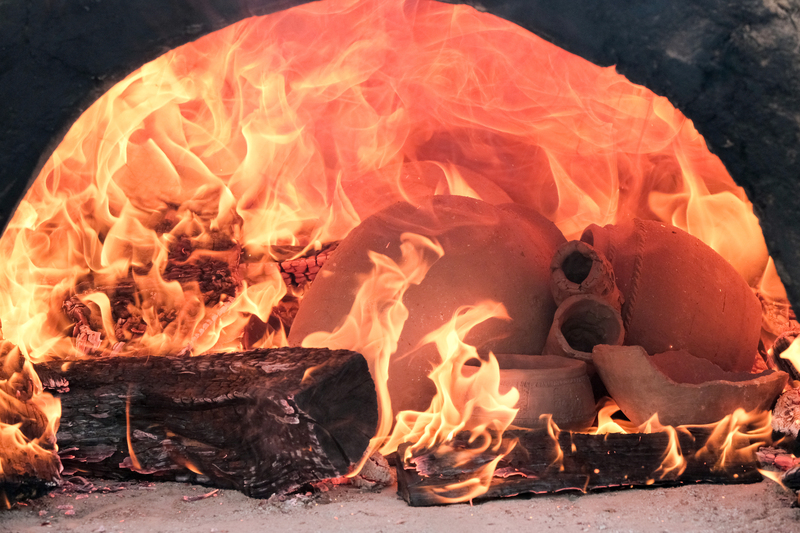 For many years, iron smelting or jewellery casting, pottery burning in a pit or in a kiln and many more activities of the experimental kind have been held during each day of the festival. However, there was never an enforcement of any rules regarding the processing of an experiment during the festival. Even though the “experimental” part of the festival is stressed, it was never a strict “laboratory test”. Nevertheless, in many cases it has been more than simple presentation of an experiment’s result (See Figure 6). From the very beginning the festival encompassed prehistoric and medieval archaeology. The first was dedicated to representing the crafts of stone and iron ages, while the latter focussed mostly on crafts relating to the medieval town of Kernavė. During the last few years, medieval crafts are represented in the territory of the archaeological open-air museum, while prehistoric crafts are displayed at its outskirts (See Figure 7). Experimental archaeology has been the main axis of all educational and museum activities at the Museum of Archaeological Site of Kernavė experimental archaeology for about two decades. An educational programme at the museum called “The Living Archaeology – a Path to the Past” has been created and educational facilities have been heavily geared towards the products of experimental archaeology. The indoor museum exhibition has incorporated many of the products of experimental archaeology. The concept of the exhibition has been related to the visual interpretation of archaeological data. Results of archaeological experiments in video format are used instead of written explications – a major part of the thirty experiments that are exhibited were filmed during the festival of experimental archaeology in Kernavė. In recent years, the open-air museum exhibition has become the main focus along with a new educational programme “A Town in Middle Ages” which was created for this purpose. Experimental archaeology has a tight link with interpretation of the Archaeological Site of Kernavė – the archaeological open-air museum, together with the festival of “Days of Live Archaeology in Kernavė” contribute to the activities of experimental archaeology. Experiments could be done in the archaeological open-air museum not only during the festival but on a daily basis together with educational and recreational activities. Living archaeology and experimental archaeology come together in an archaeological open-air museum and although they mingle they do not mix together, but rather give their own values to facilitate better understanding and better interpretation of the Archaeological Site of Kernavė. This, however, should not be seen as a mere exploitation of the products of experimental archaeology. The museum itself is not an “end-user” of experimental archaeology; it is a continuous cycle where the Festival first gave rise to the development of experimental archaeology in Lithuania and, in turn, experimental archaeology influenced the interpretation of the Archaeological Site of Kernavė. Jankauskas R., 2002. Badania antropologiczne szczątków kostnych dawnych mieszkańców Kernavė. In: Kernavė – litweska Troja, 2002, p. 57-76. Playing with the Past? Or Saving Our Future?